100% OF SCHOOL CHILDREN ARE IN MORE DANGER THAN EVER! So is every other human being on Earth. Please excuse the yelling (all caps) and the sensationalism about schools. I thought this ‘yellow journalism’ tactic would be the most effective way to get your attention. The fact is that we are all in more danger than ever before in human history. Especially school children. If you haven’t heard about the harm caused by wireless communication frequencies yet, then … SURPRISE! You can get a small peek into research on these issues here: World’s Largest Animal Study on Cell Tower Radiation Confirms Cancer Link. This is just the beginning of things to come. Wireless communication frequencies, even at 4G (below 6 GHz … that’s 6,000,000,000 [billion] cycles per second!) are already known to cause great harm. This is not news, although most people seem to be sleepwalking through it. Where do you think 5G will be taking us? You don’t have to imagine what your brain will look like on 5G. Serious objections to nnEMFs (non-native electromagnetic fields) have already appeared in several books. Going Somewhere: Truth About a Life in Science by Dr. Andrew Marino. Cross Currents: The Perils of Electropollution, the Promise of Electromedicine by Dr. Robert O. Becker. Okay, nothing new here. Political inaction on mass shootings in schools is the norm. Now consider this: Tech and power company lobbyists own congress and every single state legislature in the country. And in other countries, too, for that matter. Silence on the dangers of wireless communications frequencies is even more deafening than it is on mass shootings or any other issue facing us in modern times. Why Are Schools So Dangerous? 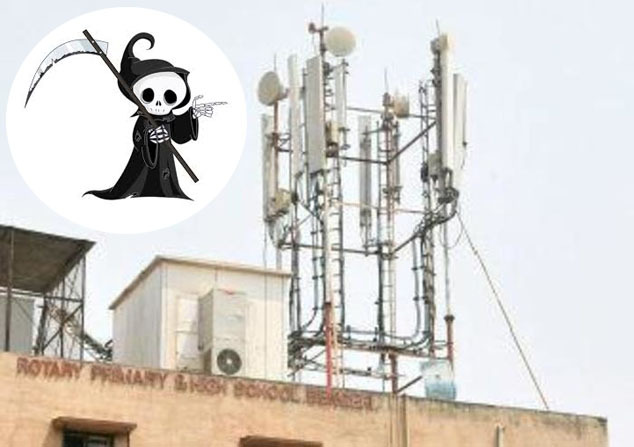 Estimates are that a 5G tower for every 10 students will be necessary to bring this technology into schools. Access depends on GHz frequencies and sufficient power to go through walls. The brain of a child is not fully mature until about the age of 25. If brain and nervous system disorders are the first to explode in a 5G world, then the youngest people among us will suffer the most. If you think you’ve seen mental disorders on the rise so far, you ain’t seen nothin’ yet. If teenagers had even the slightest inkling about how dangerous 5G technology is to them, the current protests against school violence would be just the beginning for empowering them against the most widespread and insidious harm that is coming their way right now. And not just a few students, either. Yes, you have power to make change. For starters broadcast and otherwise spread the word about this issue to everyone you know. Make it a hot topic of conversation everywhere you meet. Raise the level of the public consciousness to what is happening to people without their knowledge or approval. You are surrounded by elected officials at every level of government. If you are looking for like-minded folks in your neighborhood, start by contacting someone you know who can point you in the right direction. Maybe even do something as simple as contacting Michigan State Senator Patrick Colbeck (in the video above) to ask for help. Start a campaign on Facebook or other social media platform. Post a link to the video above. Just do something, anything, and be persistent about it. We are all facing the wrath of mega-gazilion-dollar industries. And the attitudes of don’t-give-a-crap-about-you politicians. Your health and the well-being of your family, especially the youngest members, depend on it. This is truly a heads up to educate yourself on folks. 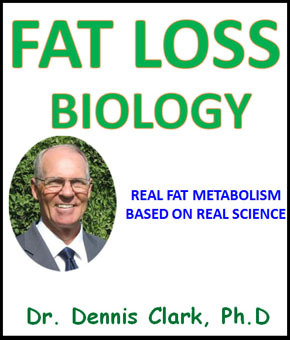 Thank you Dr. Clark. Hey, Corey…Nice to hear from you. I am glad to help. Stay healthy! Great article Dennis. I have shared the Senators talk to our kids school website as well. I was curious if you are familiar with Deuterium Depleted Water by a company called Preventa? Any experience with it? Thoughts? Hi, Robert…I am very happy to hear of you educating your kids about this issue. Thanks! Regarding Preventa and DDW, it has a strong science behind it. Deuterium is turning out to be a huge health issue. Commercializing DD water and foods, however, is unnecessary. You can find good natural sources (oysters, egg yolks, for example). You can also make your own DDW. Take a look at the forum thread here and click on the youtube video for a demo. https://forum.jackkruse.com/index.php?threads/how-to-make-deuterium-depleted-water.20394/. 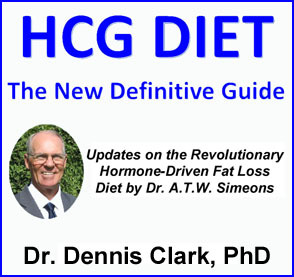 This is the forum that I visit a lot for all kinds of up-to-date ideas about optimizing health. Let me know what you think.